Thousands of years from now, the human race has expanded throughout the galaxy, colonizing millions of worlds and creating myriads of bizarre new religious cults and sects. One of these worlds is Stohlson's Redemption, where the human settlers raise dinosaurs for their religious ceremonies. 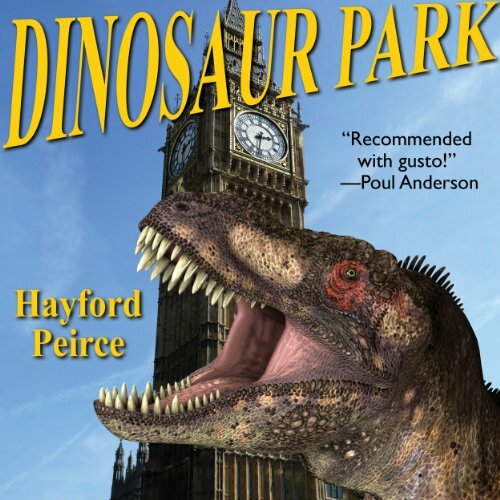 When the ten-year-old Kerryl Ryson creates an unseemly incident that upsets a visiting Important Person, his father is fed to a dinosaur - as an object lesson in politeness - and his remaining family are sold into slavery. For sixteen years Kerryl has plotted his revenge. Now, with the aid of a beautiful noblewoman, a time machine, a race of aliens who use the Mesozoic Era of Earth as a setting for adventure videos, and a stampede of ravaging dinosaurs, Kerryl gets his chance to even the interstellar score. But first he has to escape from several death sentences…In fact, he must come back from the dead!